I decided to branch out a little for my 20th birthday and pick a new cocktail bar in which to celebrate. After searching the world wide web extensively, the same bar seems to pop up in every list of Sydney's best: The Baxter Inn. And this wasn't an easy place to find. You venture down a side alley on Clarence Street and find yourself greeting a bouncer at a fairly ambiguous door. It could be anything! You then proceed to walk down stairs past barrels until you finally emerge in this basement area with spirits filling the entire back wall behind the bar. 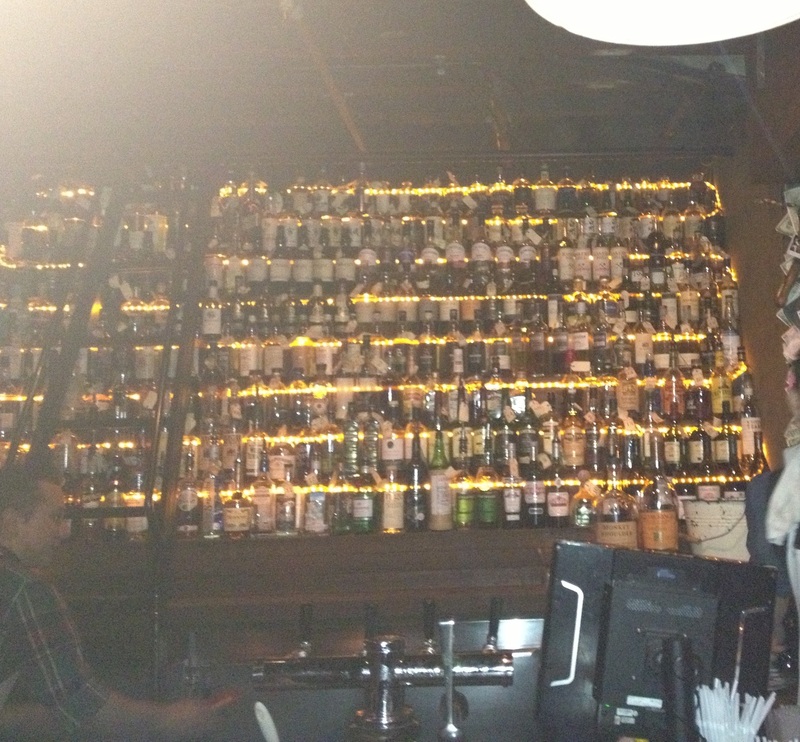 There are literally hundreds of bottles of whiskey (about 350 to be precise). The decor is very old fashioned, with dark polished wooden furniture and tables lit solely by candles. It's a great place for after work drinks or to catch up with friends. The Baxter Inn is often referred to as the "sister" to Shady Pines Saloon, opened by the same bartenders: Anton Forte and Jason Scott. It's a little bit on the pricey side of things, with cocktails averaging around $17 and the cheapest beer is around $8. But the service is impeccable: they light your candles and refill your bowl of pretzels straight away and refuse to take any payment until your cocktail is made. The environment is just that little bit fancy. The Baxter Inn is closed on Sundays but open every other day until 1am (or 12am on Saturday). You'll find it at 152/156 Clarence Street (or will you?). And the mojitos are to die for!